Many variaties of systems can be used for both solar space heating and domestic hot water production. 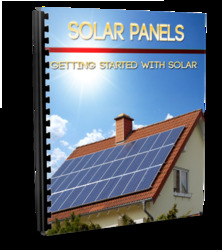 The basic configurations are similar to the solar water heating systems outlined in Sections 5.2.1 and 5.2.2. When used for both space and hot water production and because solar-heated water can be added to storage at the same time that hot water is removed from storage to meet building loads, the system allows independent control of the solar collector-storage and storage-auxiliary-load loops. Usually, a bypass is provided around the storage tank to avoid heating the storage tank, which can be of considerable size, with auxiliary energy. A schematic diagram of a solar heating and hot water system is shown in Figure 6.13. Control of the solar heating system is based on two thermostats: the collector-storage temperature differential and the room temperature. The collector operates with a differential thermostat, as explained in Chapter 5, Section 5.5. When the room thermostat senses a low temperature, the load pump is activated, drawing heated water from the main storage tank to meet the demand. If the energy stored in the tank cannot meet the load demand, the thermostat activates the auxiliary heater to supply the balance of the heating requirements. Usually, the controller also modifies the three-way valves shown in Figure 6.13 so that the flow is entirely through the auxiliary heater whenever the storage tank is depleted. FIGURE 6.13 Schematic diagram of a solar space heating and hot water system. The solar heating system design shown in Figure 6.13 is suitable for use in non-freezing climates. To use such a system in locations where freezing is possible, provisions for complete and dependable drainage of the collector must be made. This can be done with an automatic discharge valve, activated by the ambient air temperature, and an air vent. This is the usual arrangement of the drain-down system, described in Chapter 5, Section 5.2.1, in which the collector water is drained out of the system to waste. Alternatively, a drain-back system, described in Chapter 5, Section 5.2.2, can be used, in which the collector water is drained back to the storage whenever the solar pump stops. When this system drains, air enters the collector through a vent. If the climate is characterized by frequent sub-freezing temperatures, positive freeze protection with the use of an antifreeze solution in a closed collector loop is necessary. A detailed schematic of such a liquid-based system is shown in Figure 6.14. A collector heat exchanger is used between the collector and the storage tank, which allows the use of antifreeze solutions to the collector circuit. The most usual solution is water plus glycol. Relief valves are also required to dump excess energy if over-temperature conditions exists. 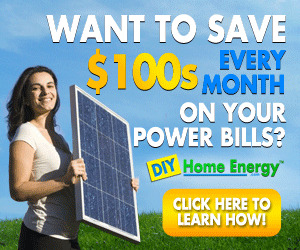 To "top off' the energy available from the solar energy system, auxiliary energy is required. It should be noted that the connections to the storage tank should be done in such a way as to enhance stratification, i.e., cold streams to be connected at the bottom and hot streams at the top. In this way, cooler water or fluid is supplied to the collectors to maintain the best possible efficiency. In this type of system, the auxiliary energy is never used directly in the solar storage tank. This is treated in more detail in the next section. The use of a heat exchanger between the collector heat transfer fluid and the storage water imposes a temperature differential across the two sides, thus the storage tank temperature is lowered. This is a disadvantage for system performance, as described in Chapter 5, Section 5.4.2; however, this system design is preferred in climates with frequent freezing conditions, to avoid the danger of malfunction in a self-draining system. FIGURE 6.14 Detailed schematic diagram of a solar space heating and hot water system with antifreeze solution. load heat exchanger must be adequately sized to avoid excessive temperature drop with a corresponding increase in the tank and collector temperatures. The advantages of liquid heating systems are the high collector FR, small storage volume requirement, and relatively easy combination with an absorption air conditioner for cooling (see Section 6.4.2). The terms Qu and Qtl can be obtained from Eqs. (4.2) and (5.32), respectively. where el = load heat exchanger effectiveness. (m cp)a = air loop mass flow rate and specific heat product (W/K). It should be noted that, in Eq. (6.62), the air side of the water-to-air heat exchanger is considered to be the minimum because the cp (~1.05 kJ/kg-°C) of air is much lower than the cp of water (~4.18 kJ/kg-°C). (mcp)w = domestic water mass flow rate and specific heat product (W/K). Tw = required hot water temperature, usually 60°C. Tmu = make-up water temperature from mains (°C).